Welcome to my first blog. Through this blog I want to share a few of the photographic images that I have captured over the last 25 years. I thoroughly enjoy expressing myself through photography and strive to create the best images I can, no matter what subject I find. The galleries on my site are a small sampling of my work, and I hope you enjoy viewing the many places I have been blessed to visit and capture over the years. Photography is a very powerful medium, and for me just revisiting images from the past can trigger memories of the experience, from recalling brutal cold, to glorious sunsets, to ocean waves crashing around me, it’s all there in a captured image. Hopefully you can find inspiration in some small way through my site, and be inspired to seek out the beauty that is all around us in a variety of subjects. I will link to your site for portrait work when you get famous. While looking at your pieces of art, I am amazed at the great ability you have to capture a great composition repeatedly. The ease is using your website to see your work is high. I will be back to see updates as you get them done. Thank you for liking my post (throughmylens365.wordpress.com). I have looked at your photos. They are extraordinary. I look forward to more of your posts. They are fabulous. Thanks for visiting. I enjoy seeing what others are up to. Well thank you for visiting as well. Thanks for taking a moment to look at my blog. Your work is great–happy to have discovered you. Certainly, and thanks for visiting. Thanks for considering me in your blog award selection. Donald, because I enjoy and admire your blog so much, I have nominated you for the ABC Award. http://avian101.wordpress.com/2012/04/14/abc-award/ ‎. In order to accept this award, you must comply with the two rules. Then you may place the Award logo on your site. Please do not feel any pressure to accept this award, I understand if you do not wish to participate. But know your site is appreciated, and your blogging is interesting, your photos are beautiful! I enjoy reading your posts! Have a great day! H.J. I appreciate the kind gesture, but I am not one to list all the descriptions of myself and dont understand all these things,so I will pass. Thanks for taking the time to nominate me though. Although I realize you don’t participate in blog awards I have nominated you for the Sunshine Award http://ndjmom.wordpress.com/2012/06/26/my-first-award-the-sunshine-award/ because you are one of my favorite blogs to visit and I wanted to share my favorite 10 favorite blogs with my readers. Thank you for brightening my day on a regular basis. Your work is wonderful! I have never seen the majority of the butterfly species you posted. A real delight. There are a lot,but the numbers are dwindling. While I am very familiar with your work and I know this is just a small sample, I must say the landscape/scenery and sunrise/sunset images are my favorites. Inspirational…what more is there to say? You have some of the most interesting photos i’ve seen i love the contrast of lighting and positioning! These are so amazing! your photos are really beautiful, I hope I can achieve that some day! Congrats! You have some great images and you sure do get to visit many locales.Shooting places at the right time of day can make a huge impact on photos. Wish I could visit the places you have been. Thanks,but I usually dont do the required portion,so I usually decline. No problem–and you are welcomed. I used to but had a change of heart somewhere along the lines. Regardless, Your photographs inspire me to become better at the craft–very much so. But, you appear to be the best at what you do. If I ever have a place or know of someone looking for such pictures, you absolutely will come to mind. Your work is just gorgeous. Just love your stuff from Rockport. One of my favorite places to visit in New England. Thank you,new england in general is so scenic and Rockport is just a picture perfect place to visit. Great shots of very familiar places. I live in Lancaster and have been to most if not all of these places with my cameras. 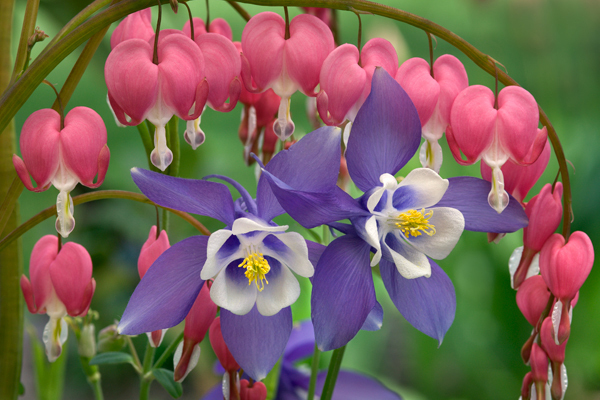 The bleeding hearts and columbine above shows me how my images can be that much better. The ones I shot at Rock Ford are simply flowers, you captured much more. I was hoping for a photo of you as we’ve probably met. If you see a tall, bearded guy with a Sony RX100, taking photos of the same things over and over in a futile attempt to get the perfect image say hi. Thanks for stopping and commenting.I do the over and over thing too. you have some great shots on your site and I recognize them as well.I appreciate your comments. Congratulations on your photos in the Lancaster County magazine article Christmas at the white house. It doesn’t say which are yours and which are Mr. Zutell’s, but my guess is that yours are the night shots. The opening double page spread with house and barn is inspiring. Thanks for the heads up. I need to check it out and see what they used. the exterior shot is mine,but I gave him a few interiors to submit to them as well. Thanks. Enjoying my visits here viewing your fascinating images. Regards from Thom at the immortal jukebox (plugged in and readynto play!). Pleasure. Checkout the Jukebox when you have a few moments. Just wanted to pop over here to tell you how very much I love your photography. Been following a while now but thought I’d add this little note in! You are very talented. I appreciate your visiting and commenting. You have some real nice Images here. I’ll be following. Just what type of camera do you use? Me? I shoot a Nikon D7000, a Nikon Coolpix P600, and a Pentax K10D with various Lens’s & Filters. Thanks for your comment. I always appreciate it. Very nice work, all of it. Great images. Your photos are beautiful. Do you ever sell your prints? yes I do. I usually do 8×12, 12×18, or larger if asked. let me know. my email is under my contact section. I can do anything you see here or elsewhere.